Sleep deprivation has a significant impact on our ability to exercise the key skills associated with effective leadership. Research has shown that most of us need around 7 hours of sleep per night to avoid the effects of sleep deprivation. But a 2017 international study by the Centre for Creative Leadership, showed that 42% of leaders get 6 hours or less of sleep per night. 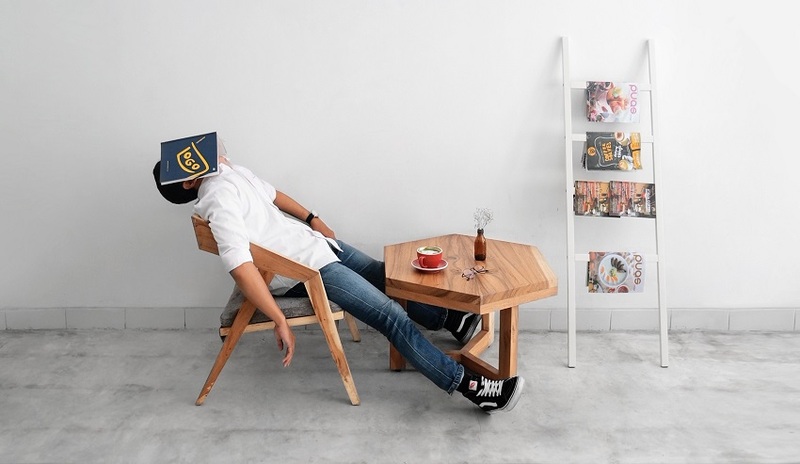 Despite an increasing level of awareness and conversation around the effects of not getting enough sleep, a large proportion of leaders, managers and CEOs, still view being tired or needing less sleep as a badge of honour. Starting work in the early hours and being available and ‘online’ long after normal office hours end, is thought to demonstrate the kind of work ethic demanded of leaders. The stories of famous people who reportedly get by on very little sleep add strength to this idea that less sleep equals more success. For example, Martha Stewart reportedly only sleeps for 4 hours a night and Jay Leno allegedly gets by on just 5 hours. How often have you heard phrases like these throughout your career? Maybe you’re even guilty of thinking along these lines yourself? According to neuroscientists, just one night of reduced sleep begins to severely impair our ‘Executive Functions’, affecting our ability to demonstrate effective leadership skills. Less sleep means that you’re less able to absorb, retain and apply new information. This adaptability is an essential part of effective leadership. Similar to the effects of alcohol, sleep deprivation impairs your judgment and your ability to regulate your emotions. As a result, your actions and choices may be more reactive and impulsive than calm and considered. This can lead to poor decision-making and impact on your relationships at work with your clients, your employees and your own boss. When you’re tired your creativity takes a hit, impairing your ability to find effective solutions to the challenges facing your team. Although you may be working for longer, you’re more likely to make mistakes as we find it harder to focus and concentrate when we’re tired. In the long run, this reduces your productivity. As a leader, the people you manage look to you for energy, inspiration, direction and consistency. A lack of motivation and effective leadership stemming from your lack of sleep can impact on their workload and job satisfaction, leading to a higher level of stress, reduced performance and productivity and reduced staff morale. Luckily there are practical things you can do to improve your sleep hygiene and consequently, your performance as a leader. Stick to a regular sleep schedule based on your own internal body clock or circadian rhythm. If you can, try to get up and go to bed at the same time each day, including over the weekends. Create a relaxing bedtime routine to help you wind down each night. Let your mind and body know it’s time to get some rest by establishing a regular bedtime ritual. This could involve a warm bath, reading a book, or having a warm (decaffeinated!) drink. Increase your level of physical activity. Regular exercise helps us to feel naturally tired at the end of each day, making for a deeper nights sleep. Try to avoid exercising too close to bedtime. Put away your devices around an hour before bed. Our phone is the last thing many of us look at at night. But using our devices before we go to sleep keeps us stimulated and prevents us from winding down naturally towards a good night’s sleep. This is beacuse our phones and laptops emit a blue light which disrupts the production of melatonin; the hormone that regulates our sleep process. With a few simple changes, you can make a big difference to your leadership performance by getting a better night’s sleep. If you struggle to drop off or often experience restlessness during the night, these 5 practical tips for better sleep could help. Find out more about my sleep workshop Develop your leadership skills with one to one coaching.